The concept, announced late-2016, is planned for Old Fourth Ward. 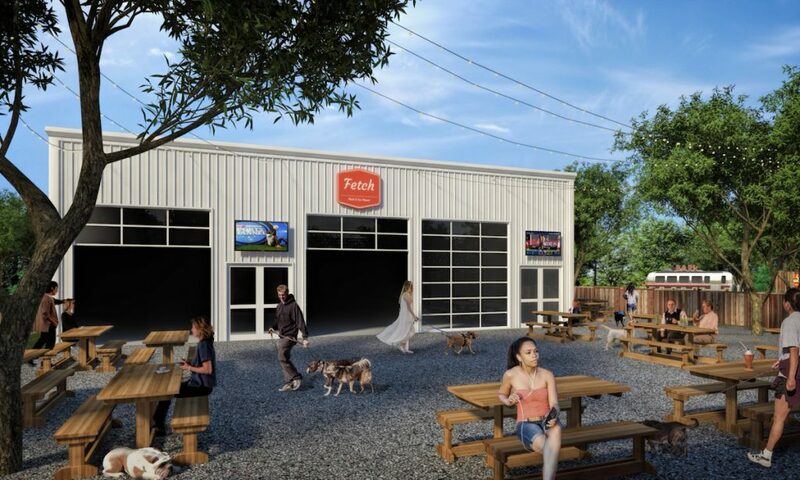 Fetch, a restaurant and "dog park bar" concept planned for Atlanta’s Old Fourth Ward neighborhood, Thursday released renderings of what the project might look like when complete. 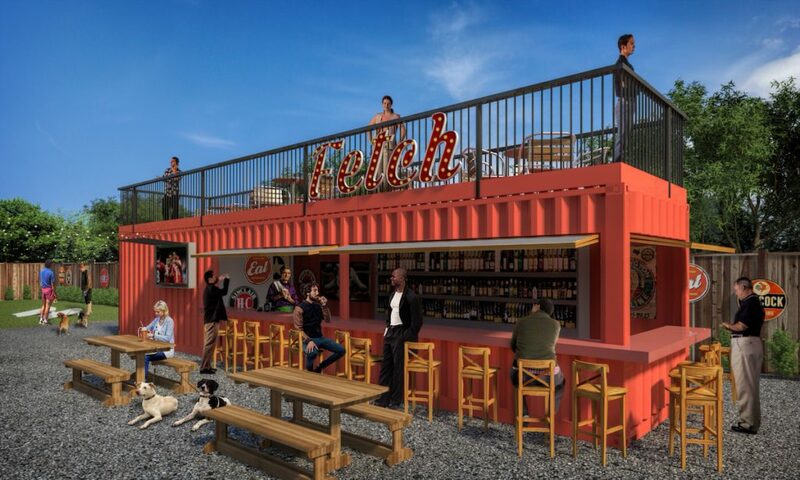 Fetch would be the first restaurant concept by Atlanta businessman Stephen Ochs and his business partner Garrett Reynolds. The restaurant is expected to open fall 2017. The renderings offer a first look at the three elements of Fetch, situated on the 1.27-acre lot located at 520 Daniel Street in Atlanta, according to the accompanying announcement. 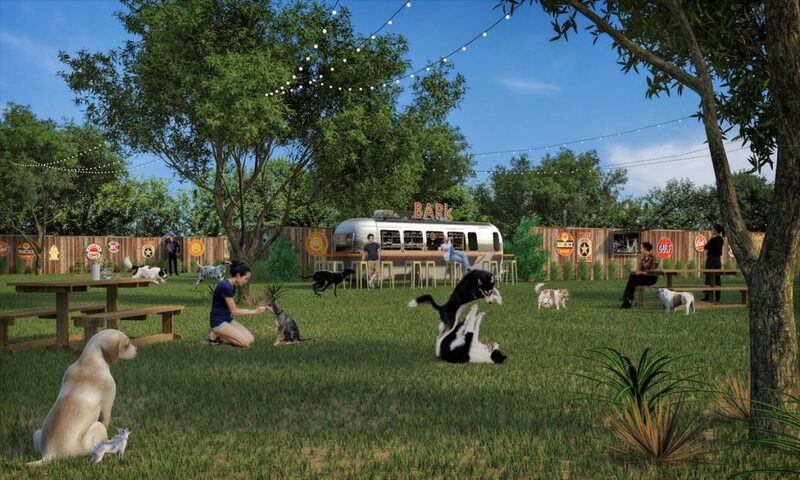 In Fetch Park, the on-site dog park, a converted Airstream trailer featuring a full bar and outdoor TVs would serve beer, wine and cocktails to park visitors. The main building, Fetch Ice House, would house a restaurant and bar in an open-air, rustic setting with outdoor seating. A shipping container transformed into a full-service bar with TVs and a rooftop lounge serves as the centerpiece of the property. The restaurant and dog park would offer Wi-Fi throughout the restaurant and park area, a dog wash station and a membership option for "dog owners seeking a safe, enjoyable place for theirs pets to play," and is within walking distance of both Krog Street Market and the BeltLine. string(35) "520 Daniel St SE, Atlanta, GA 30312"
Caleb, is it 520 Decatur St. and not 520 Daniel? I thought it was at Boulevard and Decatur; Daniel St is at the corner there, but the numbers are in the 50's, not 500's.